In a state as large as California, it is not surprising to find colleges and universities of every shape and size. Regardless of what disciplines or degrees you want to pursue, you can rest assured that California private colleges will suit your needs. From the Mexican border all the way up to Oregon, California's numerous private schools and universities continuously lead the way in academic excellence. Just look at the medical breakthroughs, athletic achievements, and academic advances that seem to pour out of the Golden State on a daily basis. There are 307 colleges in California, 153 public and 152 private. California private colleges and universities offer a wide range of education programs with degrees and certificates up to the doctoral level, as well as professional degrees such as law and medicine. These California private colleges are diverse in character, academic emphasis, and origins. Some private colleges or schools have a religious affiliation; others are secular. California private colleges and universities may be profit or non-profit institutions. Typically, California independent colleges or private schools give weight to personal characteristics and activities in addition to considering GPA and test scores. The largest being University of Southern California with 33,082 full time students. 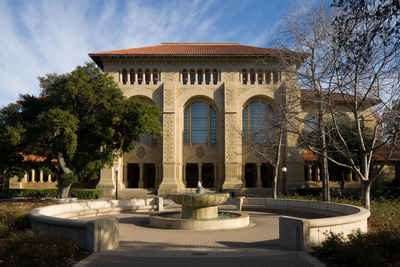 Harvey Mudd College is the most expensive with an in-state tuition of $44,159. Myths about Private Nonprofit Higher Education from NAICU on Vimeo. Reality: Since 2000, tuition costs have increased by 173% at CSU schools and 208% at UCs while AICCU tuition rates have only increased by 90%. Eighty percent (80%) of students at AICCU schools receive Institutional Grants to help pay for tuition. Overall, 86% of students at AICCU schools receive some type of aid. Reality: Most independent colleges and universities consider a number of factors other than grades. These factors can include: High School coursework, GPA, Entrance Test Scores (ACT/SAT), Essay, Activities/Community Service, Honors & Awards, Letters of Recommendation, Interviews/Auditions, etc. Reality: AICCU member schools enroll students from every background and ethnicity. Minorities are the majority (57%) across AICCU schools. Reality: AICCU member colleges are very proud to have the highest graduation rates; where our students graduate at a rate of 12% higher than the UCs and 23% higher than CSU schools. In addition, class sizes are often smaller at AICCU schools leading to more direct student-faculty interaction, with the average student to faculty ration 12:1. Providing access to quality higher education for California's diverse population. Creating highly skilled workers to successfully compete in the global economy and assure California's continued leadership in it. Investing over $20 billion annually in the state and employing over 88,000 Californians.